Temple Invisible is the dark-experimental, electronic, post-industrial musical project of Irina Bucescu, Costas Ivanov and Daniel Olteanu – three multi instrumentalists from Bucharest, Romania. Temple Invisible‘s music diffuses a unique blend of electronic influences and musical genres combined with a classical sense of composition. Temple Invisible songs are almost mathematically placed between Massive Attack and Nine Inch Nails, with a smidgeon of Portishead and the sort of big choruses and bells-and-whistles-and-choirboys production once trademarked by Depeche Mode. Always willing to push new frontiers with a mixture that blends electro-beats, psychedelic guitars, symphonic elements, 80s synth-goth and trip-hop with a nod to classic post-industrial notes, it’s hard to pinpoint just where the hallowing chords of this three-piece sit, landing them on a distinct & intriguing sound. Striking a balance between the trip-hop scenes of Portishead with the dark industrial zones inhabited by Nine Inch Nails, the three-piece summon tectonic plates of noise that shift subtly with earth-shattering consequences. Speaking about their debut release, Temple Invisible describes the EP as a vibrational state in which they abide among their absolute love for music and their contradictory need for self-identification as a way to reconcile both. 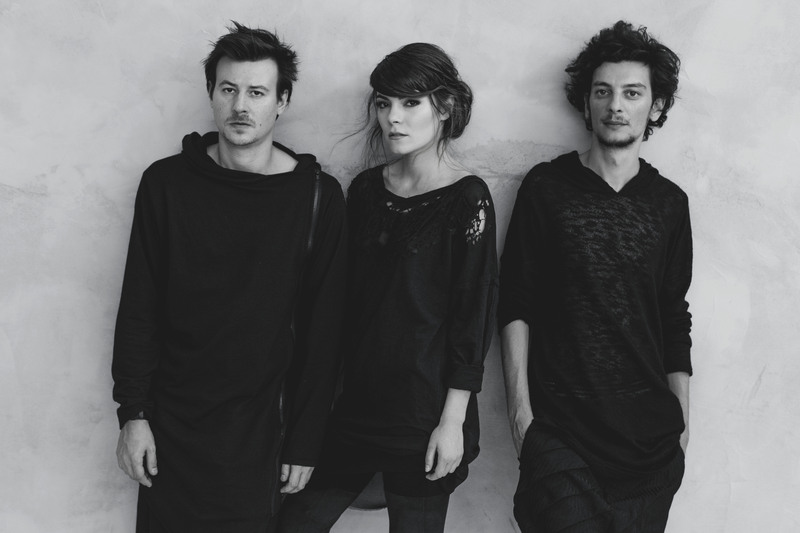 Enter_ is an introduction to their blended style of multi-layered electronica.